January and penguins go together don’t you agree? Actually, next Saturday, January 20 is Penguin Awareness Day, a day to celebrate these unique and fascinating flightless birds. You may know that penguins are among the most social of all birds. After all you’ve probably seen photographs featuring hundreds of penguins hanging out together. However did you know penguins have color vision? Scientists have discovered that penguins are most sensitive to violet, blue or green. Very cool! I just had a crazy thought. Perhaps we should ask Jan Brett to take a trip to Antarctica so she can write a a penguin book for us! Whatcha think? Be sure to check out the cross-curricular penguin activities and projects that are waiting for you at themailbox.com (CLICK HERE). And here are a couple of penguin jokes from me to you! 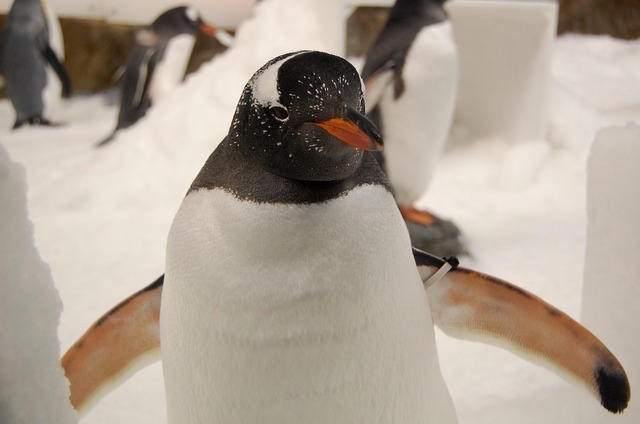 Are you welcoming penguins into your classroom this year? PS: If you haven’t yet entered this month’s First Friday Giveaway, CLICK HERE! An adorable toy pooch and a stack of books could be yours!